Though I knew she had been ill for some time, it was still a shock to hear that Aretha Franklin (1942-2018) had moved to hospice care earlier this week and that yesterday, she passed away in Detroit. 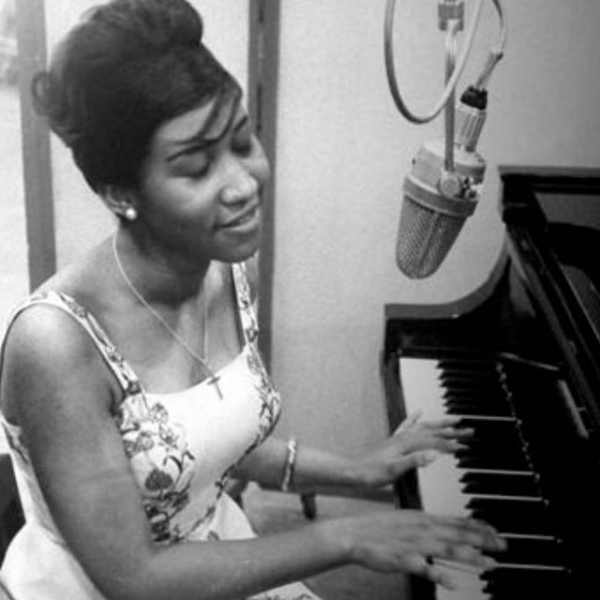 One of the greatest, most vocally gifted and agile singers of her generation or any other, with a rich, layered mezzo-soprano voice that could project with tremendous power and draw emotion out of each note, she set the standard for her peers and all who followed her, earning the title of the Queen of Soul in 1964. But as she proved throughout her career, in addition to possessing major talent as a pianist, she also could sing gospel, the musical genre she grew up hearing and learning in the church, New Bethel Baptist, led by her legendary father, Rev. C. L. Franklin; R&B, in which she became a superstar; pop, leading to her early fame; the blues, which suffused all of her music; rock & roll, as she proved in the 1970s; jazz; and even classical operatic music, as she demonstrated to the world (though close friends like Grace Bumbry knew it) when she stepped in for Luciano Pavarotti on national TV and sang "Nessun Dorma" at the 1998 Grammys. Her catalogue includes over 40 studio-produced albums, twenty Billboard Number 1 singles, beginning with "I Never Loved a Man (The Way I Love You)" in 1967 through "Freeway of Love" in 1985, and countless awards and honors, including 17 Grammys in categories ranging from Best Female R&B Performance to Best Soul Gospel Performance to Best Traditional R&B performance; Grammys Legend, Lifetime Achievement and MusiCares Person of the Year awards; American Music Awards; NAACP Image Awards; Kennedy Center Honors (she was the youngest person to receive the award when honored in 1994); the first woman inducted into the Rock & Roll Hall of Fame, in 1987; induction into the Rhythm & Blues Music Hall of Fame and GMA Gospel Music Hall of Fame; and a 1981 star on the Hollywood Walk of Fame. I would be remiss if I did not mention her brief but unforgettable turn in the iconic 1980 movie The Blues Brothers, in which she sang "Think," which won her a whole new slew of younger fans. Though she has now left the mortal plane, her music, perennial and enduring in its beauty and power, will always be with us as testimony to her greatness. 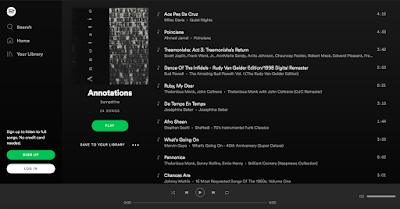 Here are some videos of Aretha Franklin performing some of her countless hits. May she rest in peace and sing on in the great beyond. Aretha Franklin "(I Can't Get No) Satisfaction", 1st Festival international de jazz à Antibes, ORTF, 1970. Watching the first episode of filmmaker and musician Terence Nance's new HBO series, Random Acts of Flyness, five of which are still to air, I wondered, what on earth did he--or his agent, or whoever was in communication with the studio's executives with the power to greenlight new projects--say to convince the subscription channel to approve what, by my estimation, has to be one of the strangest and potentially most innovative and subversive new shows on TV? 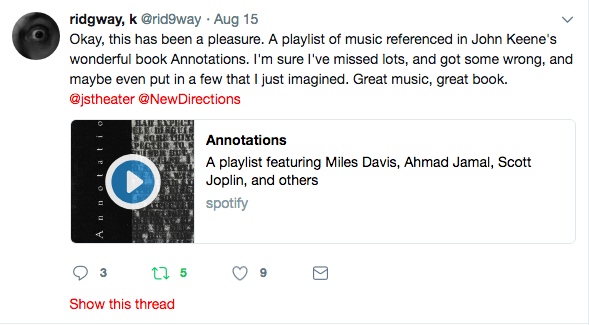 I say this as someone who grew up watching all kinds of unusual and bizarre situation and sketch comedies, too numerous to name, and, short of The Eric Andre Show, which Random Acts of Flyness mirrors in spirit, few shows on TV (The Chappelle's Show, maybe Atlanta, at times) have approached the unexpected black places, Afrosurrealist, Afrodelic, Afrofuturist, perhaps even Afrorealist if the lens were inverted, that Nance's imagination appears to take him, his cast, and his viewers. 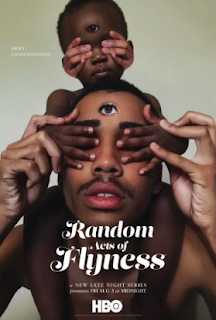 Random Acts of Flyness is a sketch series, a video show, a quirky and queer, postmodern comic anthology and cavalcade, stitched together--or not--by Nance's dream logic. I say his dreams, since he's directing, co-writing and executive producing, but it's clear he has gathered around him a very talented group of creative minds. (I should add that I the show's movement also reflects the associative, often desultory logic of contemporary social media. Au courant it is.) For Nance there are binding threads, however gosssamer: an impressively original ear and eye, a profound interest in blackness in its various conceptual possibilities, an aim to explore anti-nihilistic critiques in new, dramatic forms, and a willingness, from the sole episode I've seen, to see how far a comic idea, however bizarre can go. The result is a show that exemplifies a radical act of black aesthetic freedom, of the kind that most viewers are not going to see even on semi-regular basis otherwise. Take, for example, the first episode's mock cable show skit "Everybody Dies," featuring Ripa the Reaper (Tonya Pinkins, props to her for even agreeing to this), who sends up the idea of black death, ushering people, particularly black children, through a door marked life and out one--shoving them at one point--marked death, as she repeatedly draws out a ditty about how we'll all die set to the tune of "Twinkle, Twinkle, Little Star," accompanied by what sounds like a toy piano. (When two white children join the queue, she sends them back, to a different fate she cannot determine.) Everyone dies, the sketch shows, but not equally, and the perverse spectacle of children dying defies any attempts to make (too much) light of it. Eventually we see Ripa the Reaper's exhaustion at and surrender to the absurdity of what she has to participate in, a powerful dramatic correlative to our affective responses to spectacles of black death we all witness daily. Watching it I thought, only a very talented black writer--and actor--could pull this off, and Nance--and Pinkins--did. 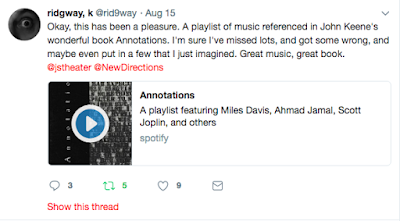 I won't go so far as to say that every element of Random Acts of Flyness's--why do I want to keep calling it Radical Acts of Freedom?--debut worked, though. Nance's opening gambit, "What Are Your Thoughts on Raising Free Black Children?" which involves him riding a bike and getting stopped by a cop who demands that he stop filming what's happening, at first felt almost too obvious, even though what he was dramatizing happens so regularly it has almost become a cliché, despite its often violent and mortal outcome. 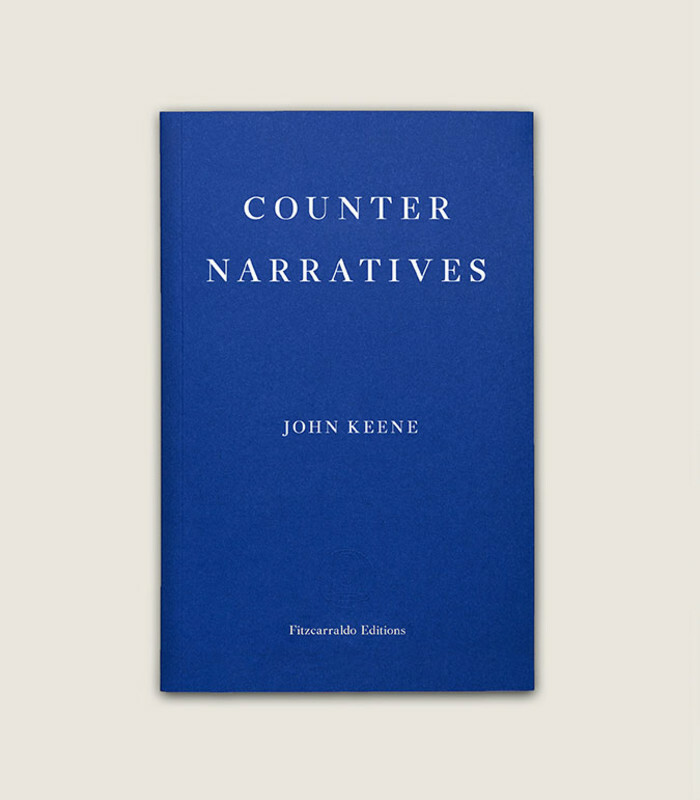 To his credit, Nance did not end the segment where you might expect, and his flight--literal and figurative--ultimately did feel satisfying, no least because, in a different but consonant way, the idea animates a great deal of my collection Counternarratives. The strands of African and African American folklore that come together as Nance soars underscored for me both his creative skill and how unlike most TV this show probably will be. 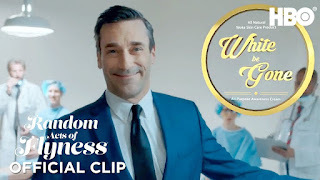 Another clip, "White Be Gone," featuring actor Jon Hamm rubbing a shoe polish-like black unction into his temples to eradicate "white thoughts" also felt a bit belabored, and made me wonder whom it was geared towards, since surrounding it were other clips, like "Black Face(s)" and an exploration of black sexuality, that seemed geared specifically to black viewers. (In fact, I had the thought at one point that the show ought to be on TV One or BET since Nance seemed to be speaking so directly, and lovingly, to other black folks.) 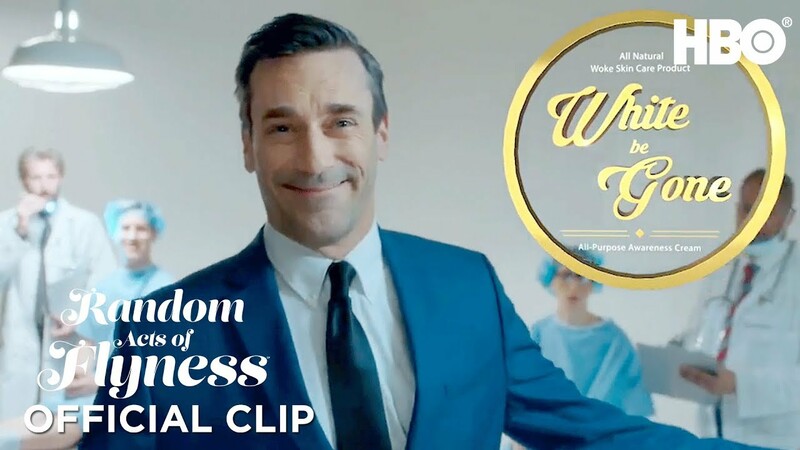 Given the daring of some of the other sketches, I actually expected Hamm to cover his entire face, and eventually send up a kind of black-face liberalness or wannabe wokeness, though perhaps that might have gotten the show canceled and Hamm's career nixed, however evident the sarcasm. And yet given the video clips on "Black Face," contra "blackface," Nance had already established the terms to go even further. 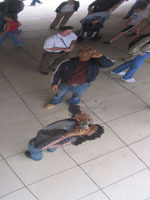 Codeswitching, and more specifically the act of African Americans using a "white voice," including accent, intonation and pitch, to meet the expectations of white teachers, employers, colleagues and the broader society, is a culturally and politically informed practice now extensively discussed in the public discourse. 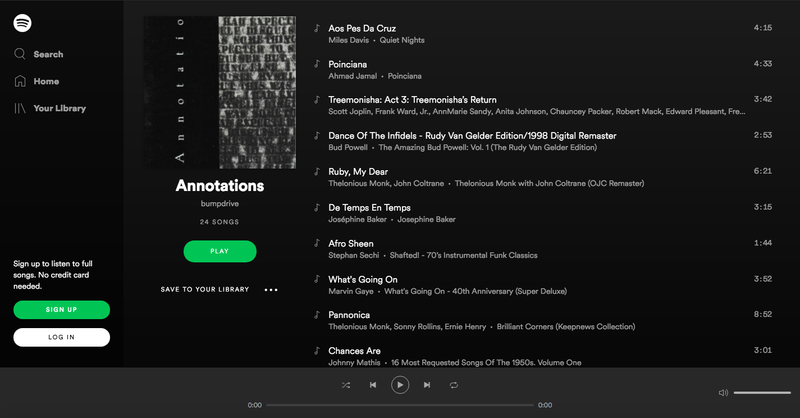 Any number of writers, politicians, rappers, and other figures have explored codeswitching; there is even an NPR program with that title. 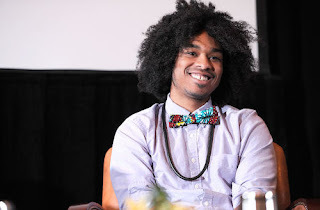 It also provides a thread in numerous current TV and cinematic shows--think of Issa Rae's Insecure, Kenya Barris blackish or Donald Glover's Atlanta--but Boots Riley, a 47-year-old musician, artist and filmmaker from Oakland, makes it the central premise of his first full-length feature, Sorry to Bother You, and what a dope film he has dreamt up! 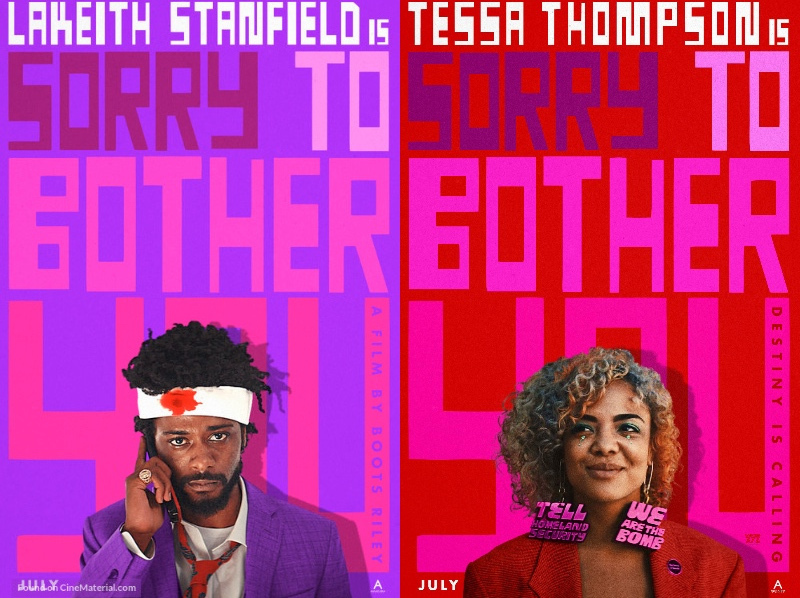 It requires no hyperbole to say that Sorry to Bother You is easily the most original and unpredictable feature of this year--or many years. In it, Riley takes the idea and practice of his premise literally, so literally in fact that it quickly shifts into productively absurd territory, only to keep ramping things up from there. (Riley makes great use of literalism's formal and conceptual possibilities.) The result is a speculative, progressive, Afrofuturist, fantasia that manages to produce laughter, provoke thought, and present far-too-rare onscreen plight of working-class people, transracial and ethnic labor solidarity, the voraciousness and utter lack of ethics of US conglomerates, and the perverse, almost science-fictionally rotten core of contemporary capitalism. 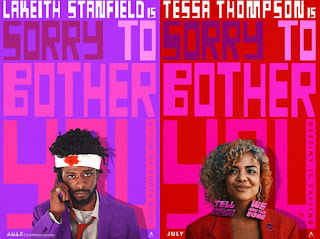 Sorry to Bother You unfolds in an parallel-universe Oakland (and dystopic US) and centers on the experience of underemployed Cassius "Cash" Green (the super-lowkey LaKeith Stanfield), residing in the garage of his uncle Sergio's (Terry Crews) single family house. 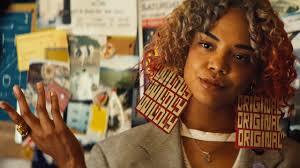 Living with him is his performance artist/guerrilla activist girlfriend, Detroit (chill Tessa Thompson), who exudes charm in deuces. Cash is four months behind in rent, compounding Sergio's danger of losing his house, which now in arrears. In the story's foreground, a commercial spurs Cash and his best friend Salvador (Jermaine Fowler) to find jobs as lowest-level telemarketers at Regalview, with Detroit eventually ending up there as well; in its background, viewers see ads for and signs underpinning the conglomerate WorryFree Corporation, whose businesses operate as latter-day slave systems, providing housing and other amenities for works, but requiring a lifetime, unbreakable contract. Reilly also shows viewers that the socioeconomic and political crises that allow a WorryFree Corporation to exist in the first place can coexist, as they do today, with working-class and poor people making do--eking out whatever living is possible--as best they can. Becoming an effective salesman, let alone "Power Caller," stumps Cash, as many a novice salesperson has quickly figured out. Cash rides one elevator up to his floor, yet spots the golden portal to the realm of the "Power Callers" off to the right. Stanfield's hunched posture and furtive glances convey more effectively than dialogue how he views himself and the plight of so many blue collar workers today. What galvanizes Cash is a tip, both bizarre and reasonable, from his neighboring telemarketer, Langston (Danny Glover), who urges Cash to use his "white voice" to make the sales. Here, codeswitching isn't just metaphorical, nor the "white voice" merely literal. 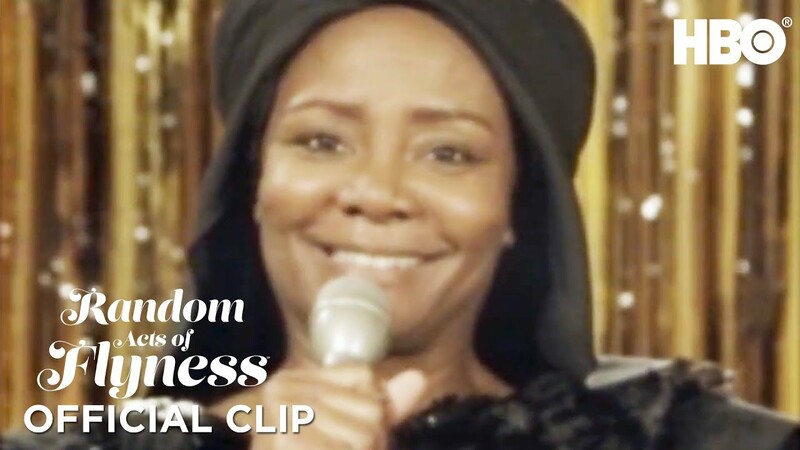 Glover suggests something aspirational, performative in the deepest senses of that word, brandishing a ludicrously stereotypical-sounding white voice that spurs Cash, with some coaxing, to conjure his own (fulfilled by David Cross), which proves to be a winner. 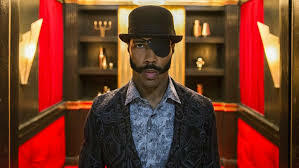 What follows is success beyond his wildest dreams, including meeting the eye-patch sporting Mr. ______ (played with brio by Omari Hardwick, his voice squeaked onto screen by Patton Oswalt), who serves as a guide, mentor and fellow traveler, but he is able to help Sergio pay off his debts and buy his own lavish apartment. Out of the garage, into an aerie, literally. Many a filmmaker might have stopped there, in terms of the concept, to examine how a black working class figure, now suddenly empowered, maintains the exceptional instruments--voice, personality, psyche, etc.-- that have furthered his advancement, in the face of constant and countless work-place challenges. In effect, it could have been a more woke, black Office Space. For Riley, however, the stakes of the larger picture, even if somewhat in caricature, is at play. Cash's co-worker and eventual friend, Squeeze (Steve Yeun), is a union organizer, and his goal is to bring all of the first floor telemarketers into the union shop. To press the case, he organizes a strike, a plot touch that feels so appropriate as conservatives and billionaire donors continue to push for "right-to-work" laws in state after state. Yet by having Cash ascend the ladder, the film raises important existential and ethical questions, underscoring the black exceptionalist scenario that has been so common in innumerable fields. Where do Cash's lie? With management and the elites whose bidding RegalView is undertaking, or with his working-class girlfriend, Detroit, and buddies Salvador and Squeeze. His "white voice" takes on new resonance as the emblem of his growing estrangement from his past. The film poses questions that have long seem foreclosed in our media? Can workers still unionize? What are unions good for? Can unionized labor really gain workers a better deal? Returning to our protagonist, will Cash cross the line and whose side is he really on, especially after he crosses the picket line, and ends up with a head wound, bandaged so evocatively that it becomes a symbol of the wounds festering inside him. As Squeeze's labor organizing efforts unfold, viewers learn about the unnerving ties between the telemarketing firm and WorryFree; I found them almost too neat, but they serve the plot's purposes. At the same time, Regalview's "Power Callers," Cash fathoms, are engaged in nefarious work on behalf of WorryFree, meaning that he will be helping to wreak global havoc. 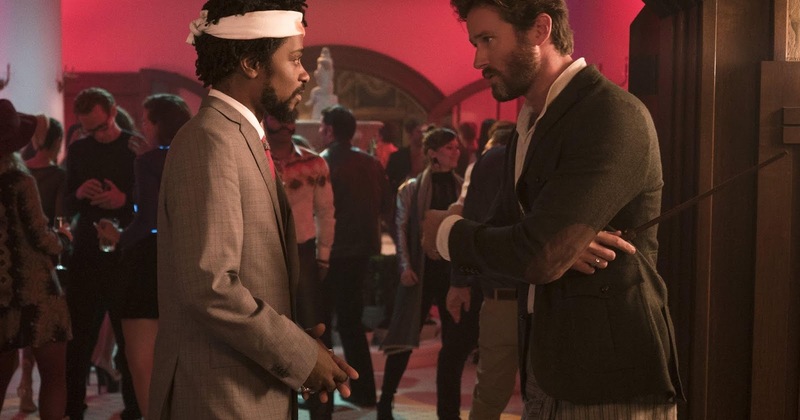 Star that he is, he joins a truly exclusive group that includes Mr. ______ (his name, like he, is a cipher in the screenplay), and gets invited to a party at the mansion belonging to WorryFree's owner, Steve Lift (Armie Hammer), the name a play on Apple's legendary former leader and guru. WorryFree's virtual slavery practices are only one component in its evil efforts across the globe, and Cash picks the wrong bathroom door and happens upon a horrific scene that shifts the film into a different narrative gear, Lift shares with Cash not just an apparent mega-line of cocaine but his plans for even worse, transhuman corporate vision that would make Victor Frankenstein or Dr. Moreau jealous. I am being somewhat vague here so as not to give away too much, but I do want to say that Riley manages to wrap nearly everything together by the film's end, including the unionized, striking Regalview workers, Detroit's pro-African art, the national and global financial system's links to WorryFree, and literal revolt, while adding yet another twist that he had expertly set up during Cash's bathroom encounter and subsequent meeting-confrontation with Lift. Riley, a self-described Communist, has produced one of the better and coherent--despite its antic quality--overtly political satires I have seen in a while. I would label it less a Communist work of art than a Democratic Socialist one, because in its vision for the future, Sorry to Bother You centers a reformed and reformable capitalism instead of the system's end, with workers having greater say as opposed to the proletariat destroying the rotten system wholesale. One can see this in Left Eye participant Detroit's art, from her wry earrings to her performance piece, a masochistic on-stage event protesting the mining of coltan in the Congo, that turns the focus inward on her, instead of outward. Even the film's chief guerrilla organization, Left Eye, a clever femmage to the 1990s R&B group TLC's beloved late singer and, more obviously, a Left-perspective activist group, seem more interested in playful critique and subversive performance than in armed revolution, more in line with the Situationists than Bolsheviks. Perhaps, I surmised, Riley is suggesting that before the endgame there might be alternatives in the war against the violence of capital--and the capitalist system--than just more violence, though that occurs here as well. But a spirit more poetry than prose runs throughout the film, and it is hardly a surprise that six years before Sorry to Bother You was made, because Riley struggled to find funding, he and his Afro-punk/hip hop band released a version of the screenplay in musical form, on his 2012 album The Coup, that gives glimpses of the richly imagined world, in Oakland and in his mind, he would eventually portray onscreen. 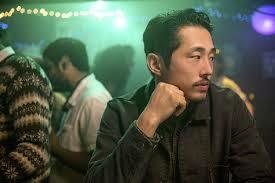 One might argue that despite its successes, the film does not fully cohere. 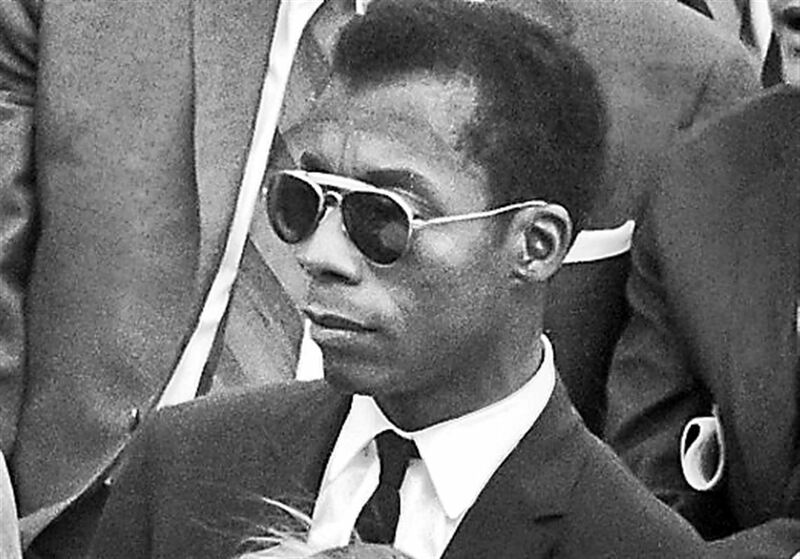 I would counter by saying that given all that Riley sets out to do in this one film, fully aware, one suspects, of the long and ugly history of black filmmakers' struggles with Hollywood to make more than a brilliant one-off, or two films if very lucky, in careers that should include dozens of offerings, he pulls it all off. The shifts in tone are central to the film's aesthetics. Its political vision goes further than almost any recent comedy I can think not directed by Ken Loach. 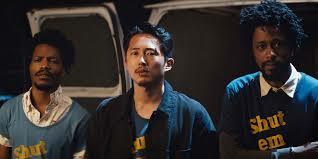 The actors all embody their characters with an effective combination of the comic and serious. 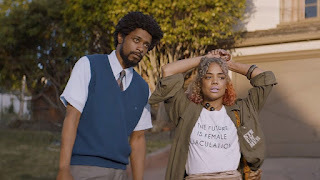 From the film's opening frames, Riley establishes a foundation for speculation that could go in any direction, so the final transmogrification, while surprising, is one he and Sorry to Bother You earn. The film, in sum, makes the sale, while also accounting for how much it also may disturb us; both in its title, as throughout its 111 minutes, Riley never takes the simple route, and I for one hope that we will see more from him, much more, in whatever forms his vision takes him. "Until my father died I thought I could do something else. I had wanted to be a musician, thought of being a painter, thought of being an actor. This was all before I was nineteen. Given the conditions in this country to be a black writer was impossible. When I was young, people thought you were not so much wicked as sick, they gave up on you. My father didn’t think it was possible—he thought I’d get killed, get murdered. He said I was contesting the white man’s definitions, which was quite right. But I had also learned from my father what he thought of the white man’s definitions. He was a pious, very religious and in some ways a very beautiful man, and in some ways a terrible man. He died when his last child was born and I realized I had to make a jump—a leap. I’d been a preacher for three years, from age fourteen to seventeen. 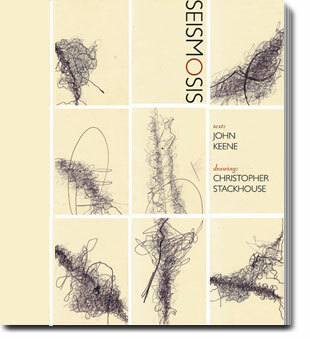 Those were three years which probably turned me to writing." --James Baldwin (born on August 2, 1924), from "James Baldwin: The Art of Fiction, No. 78," interviewed by Jordan Elgrably, The Paris Review, Issue 91, Spring 1984.